Spring Component Scan Example shows you how to use spring xml auto component scanning. First, you will be introduced the traditional way using only xml to configure spring beans. Then you will be familiar with the auto component scanning option. The auto component scanning will enable Spring to automatically look up spring beans annotated with one of the Spring Component Annotations. Base on that Spring can automatically register those beans and handle the injection and lifecycle events. Noticed that you must specify a class attribute with the full qualified name of your class. This enables spring to manage the lifecycle of this class. We will create main class to test spring xml component mapping configuration above. This class will bootstrap spring container using the spring-config.xml file. Then it will lookup the bean UserService from Spring container. The previous section walks you through manually registering a bean in the xml file. 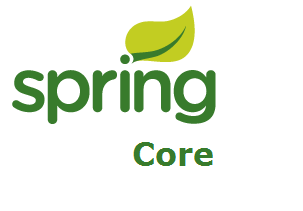 Noticed that Spring can automatically detect classes and register corresponding beans with the application context. Now we show you how to auto look up beans using spring xml auto component scanning. @Component: is a generic stereotype for any spring-managed component. @Controller: is typically used for the presentation layer. We reuse the UserDAO class above and annotate this class by the @Repository annotation. We reuse the UserService class above and annotate this class by the @Service annotation. Instead of using spring xml configuration in the previous section we are registering a element and configure it with the base-package attribute in spring xml file. This element tells spring container which package to scan to look up beans annotated with one of four types of Spring Stereotype Components above. That’s all on the tutorial Spring Component Scan Example. So far, we know two way to configure spring beans: only spring xml configuration and Spring auto component scan. And which one you are prefer to than?